This week COLOURS session is packed with a awesome minimal techno sound and comes mixed by Daze Maxim, the founder of Hello?Repeate NightLabel! Daze doesn't need much of an introduction, as he has been around for so long. We even remember back in the day, when he released tunes on Sven Vaeth’s cult HARTHOUSE imprint, creating uber-hysteria at legendary club OMEN in Frankfurt in the early 90’s...!! 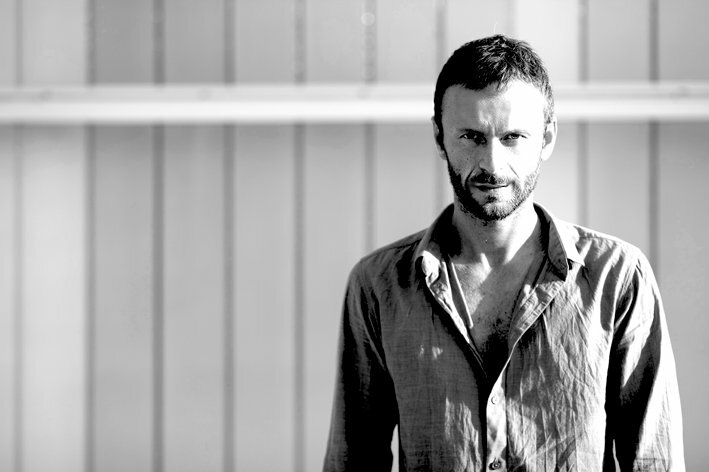 Since then, he's continued to thrill us with his productions, gracing the boxes of every DJ worth his salt across the scene; Villalobos, Hawtin, Luciano, Dice, Carola, Arpiar, Bug, Tanzmann and so on and on. As well as releasing his own tracks, Daze has been creating a stir producing for other artists; check the fantastic EP from Patrick Specke on Desolat for example! Daze by name, Daze by nature, well such are the way Daze Maxim’s DJ sets and music will leave you wondering what just hit you. For over a decade, he has held a reputation, especially amongst fellow DJs, as a guardian and pioneer of quality underground electronic music, thanks to his slick productions on the coolest labels and wholesome live performances in the world’s best clubs. 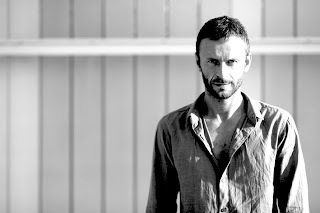 From Harthouse to Cocoon Recordings and most notably through the Hello?Repeat imprint that he established and runs with Jan Krueger, Daze (real name Marcus Manowski) is recognised as a deep thinking musician concerned with composition theory and true musical meaning as much as rocking a dance floor. This approach has lead to his records gracing the box of every DJ worth his salt across the minimal, techno and tech house scene; Villalobos, Richie Hawtin, Arpiar, Steve Bug, Matthias Tanzmann. You get the idea. More than this though, DAZE MAXIM, and his Heartz4 moniker, can look to the seal of approval stamp from the likes of Luciano, Richie Hawtin, Loco Dice, Sven Vath and Marco Carola, all of whom have included his own work of successful compilations of theirs. Early Hello?Repeat track in 2006, ‘Intimacy Girl’, remains an anthem to the nightmare like minimal weirdness that followed at that time and refusing to be categorized by one particular sound, his One Million Shakers EP, especially Maxim Mudhole, was played by everyone in 2008 and became synonymous as the house sound of the Cocoon Terrace in Ibiza. 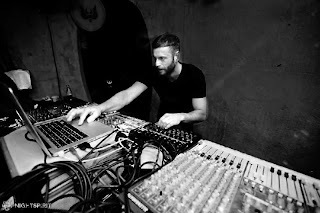 Studio skills for Daze aren’t just limited to his own original work either, take his production mastery on Patrick Specke’s smash ‘(G)oing (C)oncern (P)rinciple’ release on Desolat in 2009 or his remixing and production collaborations with Hardfloor over the best part of the last two decades. This prowess makes him one of the most consistently booked artists for true underground clubs worldwide. Who else can say they’ve held residency at both Berghain/Panoramabar and Watergate in Berlin, as well events at Rex Club in Paris, Bar 13 in New York, Arma 17 in Moscow and global tours that have covered North America, Japan and the best of the European underground circuit. Add in Daze’s saxophone skills and jazz influences and you have one of the scene’s most avant-garde and experimentalist thinkers, whose music has such depth you’ll find something new every time you listen to it.